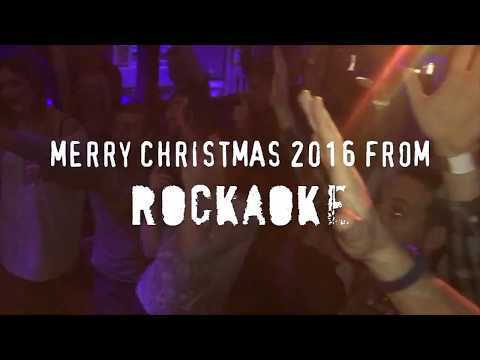 Rockaoke Christmas Parties - make it a December to remember! 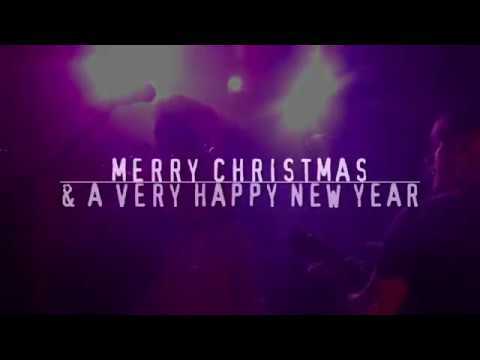 There’s nothing quite like a Rockaoke Christmas party for getting everyone in the mood for letting their hair down and having a wonderful Christmas time. 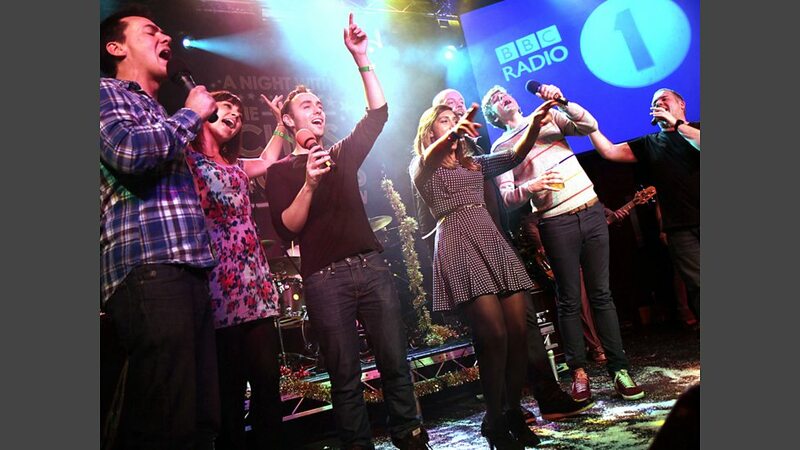 Some of the greatest ROCKAOKE Christmas Parties were on the road with the CHRIS MOYLES SHOW. 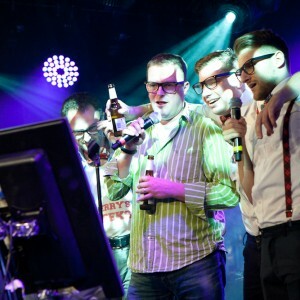 Having toured with Chris and the team in 2009, ROCKAOKE were the band for Radio 1’s CHRIS MOYLES CAROLOKE every Christmas until Chris left the breakfast show. 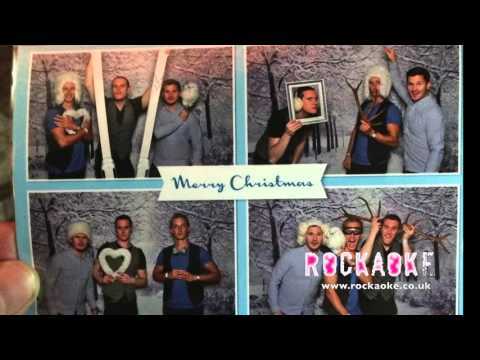 Some of our favourite photos from the merriest ROCKAOKE christmas parties. 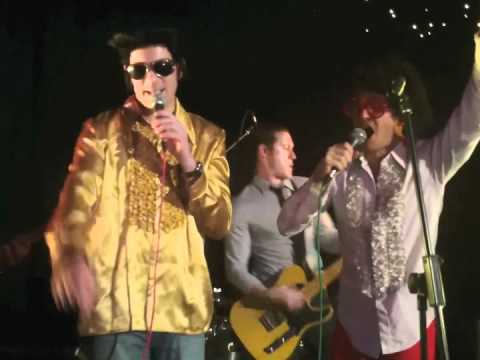 Xmas party for Chelsea FC! 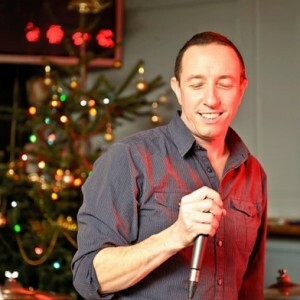 Christmas Party for JP Morgan – december 2010. Your guys smashed it last night. Really cool. Thanks very much please pass on our thanks to the band whom I feel we will be seeing again ! 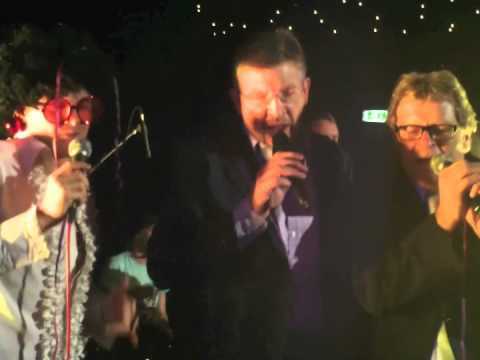 · Mike Gatting and the leadership team singing: We Are Champions – I think you forced them into that to celebrate the year in which England became the number 1 Test ranked side in the world – highly amusing for the rest of the company. 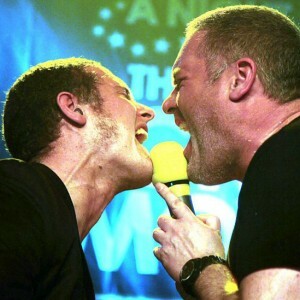 · The transformational effect on Chris Higgo, the man you awarded best performance, from a quiet fellow in IT to strutting Rock God. · The X-factor moment when Commercial Department PA Sarah Francis brought the house down with Valerie, winning best singer. · And everyone in the company with their arms around each other singing Sweet Child of Mine to close the night. It really was a sensational night and has been the topic of conversation in the office since – unanimously agreed as the best ECB staff event in my 10 years here. Also, thank you so much for the price you gave your favourite sport which can barely have covered your costs. 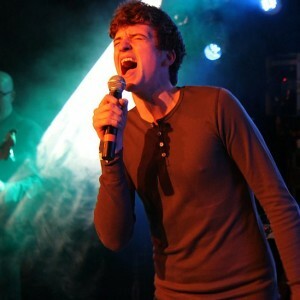 Until next time, ROCK ON. The guys were excellent throughout the Xmas period, bringing their ebullient style and amazing energy to large events for very big clients such as LOCOG, Thompson Reuters ( they demanded a repeat booking), Freshfields, Reed, Roche and Mercedes Brawn. 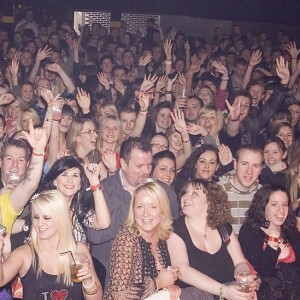 They gathered big crowds effortlessly, engaged staff members of all levels and never failed to get the party rocking. 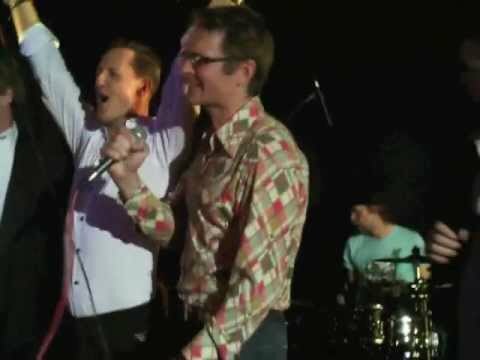 What I love about these guys is their desire to make everyone have a good time, whether it’s on stage singing or off stage dancing. They are a dream to work with because they are excellent at what they do and they create a spontaneous, combustive party atmosphere every single time. The boyish charm, endless enthusiasm and professionalism make a very attractive combination, and really nice guys to boot! Thanks so much for last night. A brilliant concept, executed with huge amounts of energy and rigor. 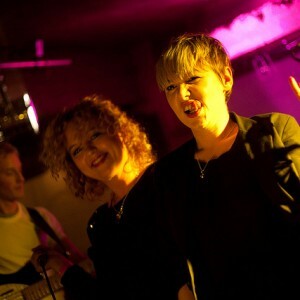 The Rockaoke team are a joy to work with, and seem to be as happy to be on stage as the participating guests! Huge fun. Sky SoftwareOne Somerset House Sony Spinvox Square Enix Steam & Rye Stickyeyes T-Mobile Telefonica Telstra The Guardian The Sun Thomson Reuters Tiger Aspect Tiger Print Tiger Tiger Tilney BestInvest Top Gear Live Total Jobs Group True North TUI Turner Ubisoft Under The Bridge Virgin Marketing Virgin Media Vodafone We Are Result Yahoo!